Let's just say... we expected a whole lot more from Malaysia's 'Godfather of Stand-up Comedy'. 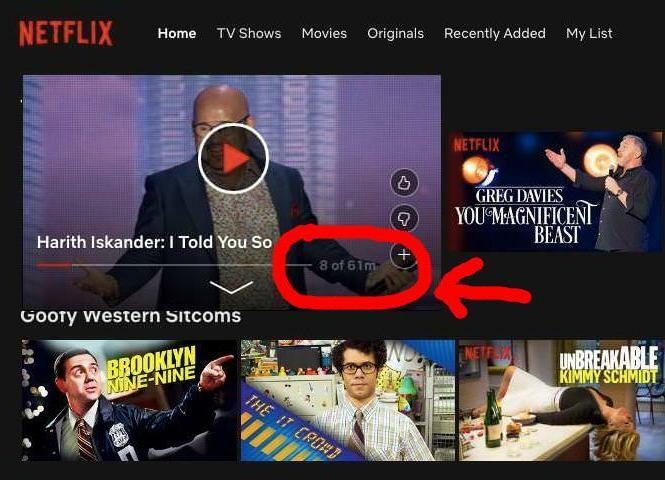 Though the Malaysian 'Godfather of Stand-up Comedy' made history as the first comedian from Southeast Asia to have a stand-up comedy special on Netflix, Iskander came in last in a list ranking 19 specials that have been released this year. In a pretty savage quip, The Wrap described the local comic's show as "painful", adding that, "Malaysian comic Harith Iskander endlessly pats himself on the back just for landing an international stand-up special." 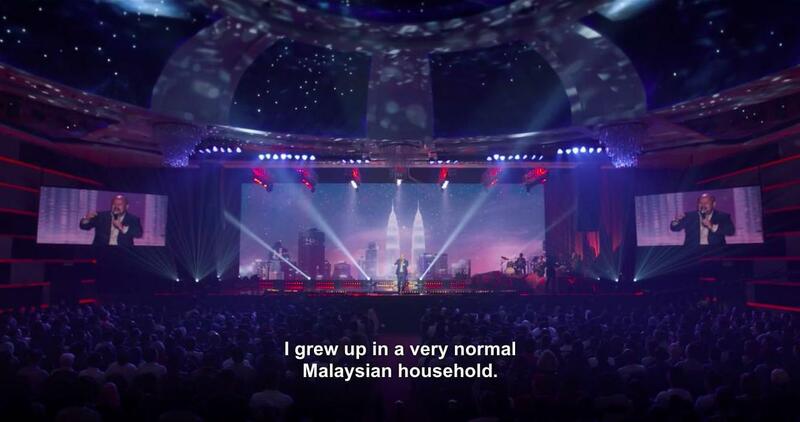 Inversely, Kavin Jay - the only other Malaysian comic with a Netflix comedy special ('Everybody Calm Down!') - was ranked eighth out of 19. "You already know that this is going to play to an audience of millions outside your region, yet you rely on local tropes and the fact that the audience cares who you are, what you did when you were a kid, and that you went to an all-boys school," the portal wrote. "There is a slew of comedians who have built careers on one-liners, but for an international audience, something is missing," it added. I loooove John Mulaney. I've seen 'Comeback Kid' several times over, and greatly enjoyed largely not-so-American perspectives and/or sharp, witty observations from the likes of Ali Wong, Hasan Minhaj (highly recommended), Vir Das, Trevor Noah, and even the bumbling Jack Whitehall. 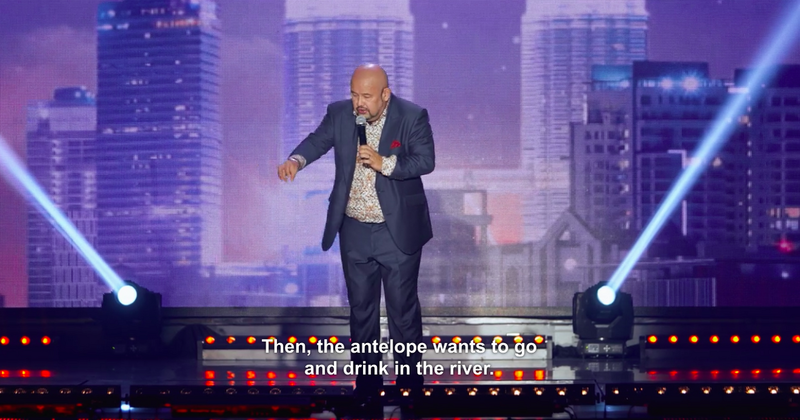 As fate would have it, I'd attempted to watch Harith Iskander's special a few days before word of The Wrap's ranking reached Malaysian shores. Now I feel kinda bad having to say that I dropped off eight minutes in (see timestamp below), 'coz I got tired of the long-winded story explaining how he decided on the show title (it's 'I Told You So', by the way). After news of the supposed ranking broke, I thought I'd give 'I Told You So' another chance and approach it objectively this time around. After all, I kinda enjoyed Singaporean comic Fakkah Fuzz's special, which was ranked at #18 just ahead of Iskander, so maybe The Wrap's perspective may not apply to everyone. First off, I still think that Iskander did spend a little too much time explaining how he decided on the title of the show. To put things into perspective for those who have not seen the show, we only get into the core material after listening to him talk about being awarded 'Funniest Comedian in the World' in 2016, the incredulity of seeing Malaysians in Finland, and a weird metaphor involving antelopes for 14 to 15 minutes. I won't lie, I kinda tuned out in some parts. While the audience seemed to enjoy Iskander's relatable one-liners and goofy theatrics, I personally felt that his delivery could've been tighter and refined a lot more. Too often, Iskander's routine veered from its main story (his first ever relationship) into random observations that don't quite offer much value nor reason as to why it was brought up in the first place. There's just... not a lot of pay off, to be honest. Credit where credit is due, there were some pretty heartwarming moments as well, particularly when Iskander touches on personal family drama and his adolescent priorities. I'll also say that there's a certain charm to having a band "enhance" the storytelling, although the "ba dum tss" effect at the end of punchlines is kinda cringey. TL;DR - While it's definitely not the worst stand-up I've had to see, it was quite an underwhelming experience, especially when I know Iskander is definitely capable of so much more. Remember the "CSI in Malaysia bit" that went viral a few years ago? SO GOOD. But of course, I'm well aware that you can't expect every comedian to hit the mark every single time; even the best comedians - like Jerry Seinfeld - are still refining their jokes and polishing their craft at their level of stand-up comedy. Have you seen Harith Iskander's comedy special? What did you think of it? Let us know in the comments section below.